Drew Blanchard’s first collection of poems, Winter Dogs, is forthcoming from Salmon Poetry (spring, 2011). His writing has appeared in Best New Poets 2008 (Samovar Press) and literary magazines, including Notre Dame Review, Guernica / a magazine of art politics, Gulf Stream Magazine, and Meridian. 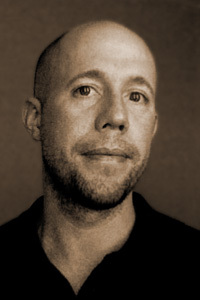 Blanchard is a two-time recipient of an Academy of American Poets prize. He holds an MFA in poetry from The Ohio State University and is a PhD candidate at the University of Wisconsin– Milwaukee where he serves as managing editor of Cream City Review.